Blast from the past! I first discussed the problems in this series way back in 2009. 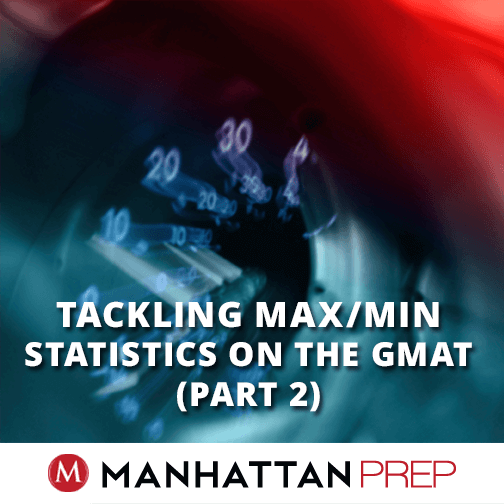 I’m reviving the series now because too many people just aren’t comfortable handling the weird maximize / minimize problem variations that the GMAT sometimes tosses at us. 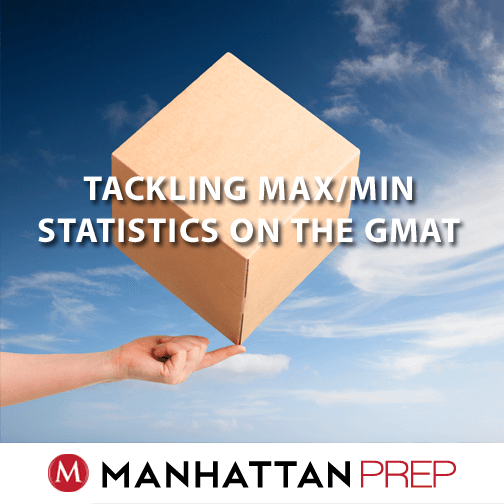 Here’s your first GMATPrep problem. Go for it! “*Three boxes of supplies have an average (arithmetic mean) weight of 7 kilograms and a median weight of 9 kilograms. What is the maximum possible weight, in kilograms, of the lightest box? When you’re asked to maximize (or minimize) one thing, you are going to have one or more decision points throughout the problem in which you are going to have to maximize or minimize some other variables. Good decisions at these points will ultimately lead to the desired maximum (or minimum) quantity. This time, they want to maximize the lightest box. Step back from the problem a sec and picture three boxes sitting in front of you. You’re about to ship them off to a friend. Wrap your head around the dilemma: if you want to maximize the lightest box, what should you do to the other two boxes? Note also that the problem provides some constraints. There are three boxes and the median weight is 9 kg. No variability there: the middle box must weigh 9 kg. The three items also have an average weight of 7. The total weight, then, must be (7)(3) = 21 kg. Subtract the middle box from the total to get the combined weight of the heaviest and lightest boxes: 21 – 9 = 12 kg. The heaviest box has to be equal to or greater than 9 (because it is to the right of the median). Likewise, the lightest box has to be equal to or smaller than 9. In order to maximize the weight of the lightest box, what should you do to the heaviest box? Minimize the weight of the heaviest box in order to maximize the weight of the lightest box. The smallest possible weight for the heaviest box is 9. If the heaviest box is minimized to 9, and the heaviest and lightest must add up to 12, then the maximum weight for the lightest box is 3. Make sense? 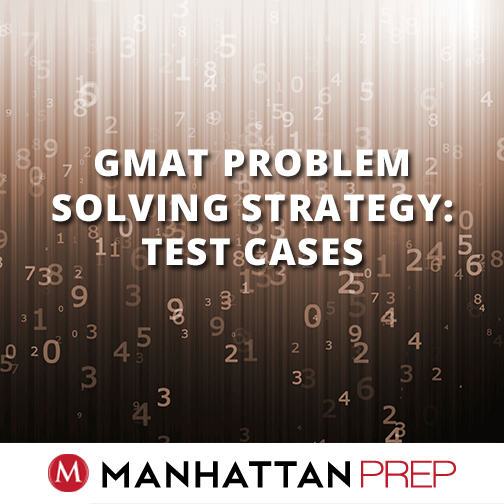 If you’ve got it, try this harder GMATPrep problem. Set your timer for 2 minutes! “*A certain city with a population of 132,000 is to be divided into 11 voting districts, and no district is to have a population that is more than 10 percent greater than the population of any other district. What is the minimum possible population that the least populated district could have? Hmm. There are 11 voting districts, each with some number of people. We’re asked to find the minimum possible population in the least populated district—that is, the smallest population that any one district could possibly have. So, if the smallest district has 100 people, then the largest district could have up to 10% more, or 110 people, but it can’t have any more than that. If the smallest district has 500 people, then the largest district could have up to 550 people but that’s it. How can you use that to figure out how to split up the 132,000 people? In the given problem, the number of people in the smallest district is unknown, so let’s call that x. If the smallest district is x, then calculate 10% and add that figure to x: x + 0.1x = 1.1x. The largest district could be 1.1x but can’t be any larger than that. Since you need to maximize the 10 remaining districts, set all 10 districts equal to 1.1x. As a result, there are (1.1x)(10) = 11x people in the 10 maximized districts (Districts 2 through 10), as well as the original x people in the minimized district (District 1). Practice this process with any max/min problems you’ve seen recently and join me next time, when we’ll tackle a super hard problem. (1) Figure out what variables are “in play”: what can you manipulate in the problem? Some of those variables will need to be maximized and some minimized in order to get to the desired answer. Figure out which is which at each step along the way. Yesterday, we talked about the Quant Guides and today I’ve got the Verbal scoop for you. Let’s start with Sentence Correction. The SC Guide begins with a new strategy chapter that discusses our 4-Step SC Process and lays out drills that you can do to get better at such skills as the First Glance and Finding a Starting Point. 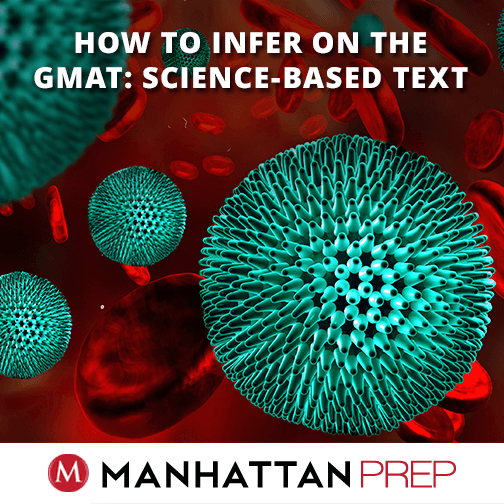 We’ve also significantly expanded the Subject-Verb Agreement chapter to include a full treatment of Sentence Structure, an area that has been becoming much more commonly tested on the GMAT. We’ve added important segments to Modifiers, Parallelism, and Verbs and we’ve woven relevant Meaning topics into every chapter in the book. What about RC and CR? Of all of the books, Critical Reasoning has changed the least, although we did add more information about Fill-In-The-Blank question types. This Guide also provides you with end-of-chapter cheat sheets that summarize how to recognize each type of question, what to look for in the argument, what kind of characteristics the right answer needs to possess, and how to spot the most common trap answers. What is the best way to use the books? First, we learn how to use the SC Process and we discuss the main topics being tested (grammar and meaning); these correspond to chapters 1 and 2 of the book. Then, we work through one new chapter a week, starting with Chapter 3 (Sentence Structure). The order of chapters in the book is the same order we use in class. You can use the same approach mentioned for quant (in the first half of this article): do some end-of-chapter problems first to see what your skills are. If you know that you don’t really know this material, then you can also skip this step. After you’ve finished a chapter, try some of those end-of-chapter problems to ensure that you did actually internalize the concepts that you just learned. Then, if you have the OG books, follow up with some questions from the OG Problem Sets, located in your Manhattan Prep Student Center. The class contains three RC lessons. First, we learn how to read. Bet you thought you already knew how, didn’t you? Of course you do know how to read, but the way you read in the real world may not work very well on the GMAT. You’ll learn a new way to deal with the short timeframe we’re given on the test. After that, you’ll learn how to handle General questions, the ones for which you need to wrap your brain around the main ideas of the passage. 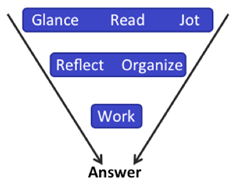 Then, you’ll move on to Specific Questions, including Detail, Inference, and Purpose questions. The test writers are asking us to do something a bit different for each one, so you’ll need to learn how to recognize each type in the first place and then how to handle it. In class, we finish off with a Challenging RC lesson. You can create something similar for yourself by tackling harder and harder OG passages. Critical Reasoning begins with a thorough treatment of argument building blocks and the 4-Step CR Process. After that, you’ll learn about each question type (do actually use the order presented in the book). Pay attention to what the book says about frequency of each type; some types are much more common than others (and those types should obviously get more of your attention). For both CR and RC, tear out or photo-copy the cheat sheets and use them to quiz yourself. Alternatively, put the material onto flash cards yourself (the act of rewriting the material will help you to remember it better!) and drill while you’re sitting on the subway or waiting for that meeting to start. That will certainly keep you busy for a while. 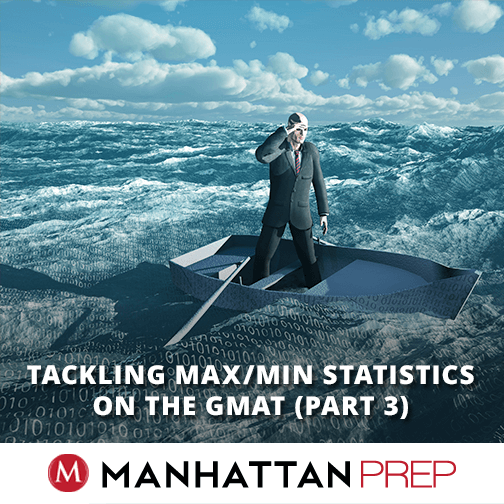 As you get further into your studies, note that you also need to lift yourself to the 2nd Level of GMAT Study. Yes, of course, there are lots of facts, formulas, and rules to memorize, and your brain will be focused on those areas at first. It’s crucial, however, for you to learn the various strategies presented in our Guides, as well as your own decision-making strategies based on your own strengths and weaknesses, and timing strategies. In short, get ready to make a commitment. 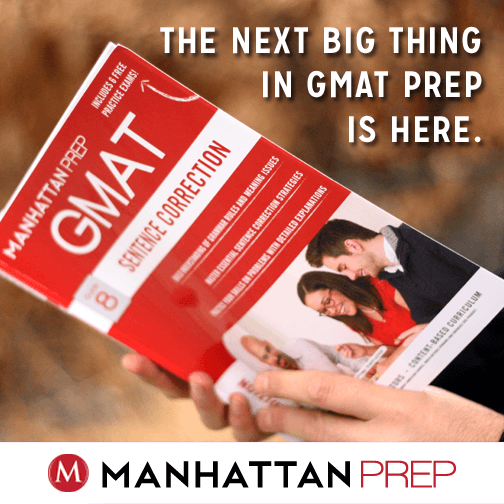 Think of studying for the GMAT as a university-level course: you’re going to spend hours every week for about 3 to 4 months to get ready for this test. With a solid plan, you’ll achieve your goals. Visit our store and be the first to own the full set of our brand new Strategy Guides. Happy studying!